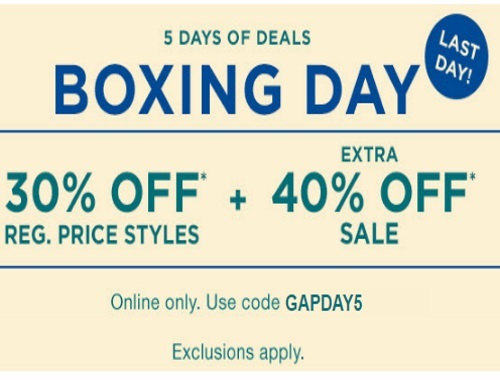 It's the final day of the Gap 5 Days of Boxing Day Deals! Today save 30% off regularly priced styles and an extra 40% off sale. Enter the promo code GAPDAYS to get the discount. Offer is valid today only online, Friday, December 30, 2016.